With more than 18 years of experience, Dr. Roxanne Irani is one of the most sought after family dentist in Maroubra, Australia. 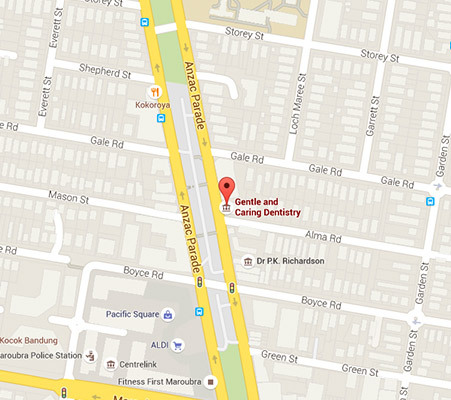 At our family dental clinic in Maroubra, our patients are our first priority. We are committed to providing our patients highest quality dental care at affordable prices. Good oral health is an essential part of anyone’s social, professional and personal relationships. As a family dentist in Maroubra, we cannot stress on, how important regular dental checkups are in preventing deeper teeth problems. Regular checkups by your family dentist prevent minor issues graduating into major ones —allowing for both time and money to be saved. To help understand teeth and dental problems better, we’ve put together a set of videos for you and your family. Check out our dental videos here: dental videos. Our blog is also a great free resource for information on various dental topics. Dr. Irani ensures that she finds time from her schedule and writes meaningful informational posts for her patients. We also have a range of offers on highly effective treatments at our dental clinic. Do keep checking our website or LIKE our facebook page for latest information and offers. You can even call up your family dentist in Maroubra on (02) 9349 6668 for more information or to schedule an appointment.